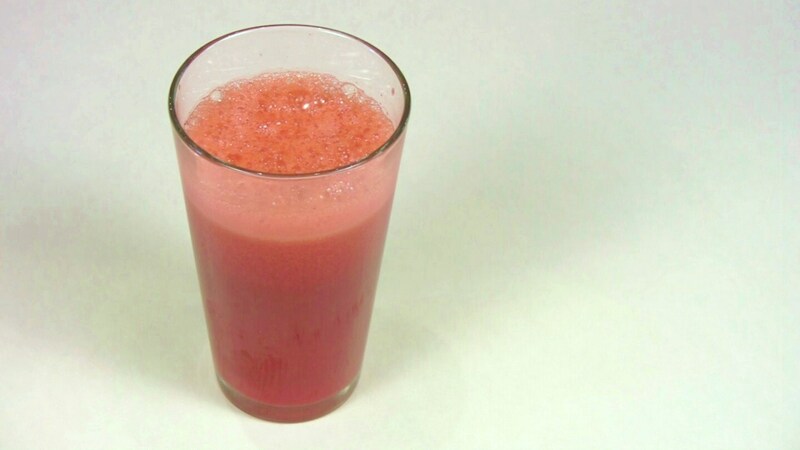 Juice made from fresh, raw fruits and vegetables is tasty, very nutritious and colorful. We often mix the fruit and vegetables in one filling breakfast drink. Use a juice extractor equipped with a sharp blade and strong motor. Wash the fruits and vegetables. Cut them into small enough pieces to fit into the hopper of the machine. It's not necessary to remove the apple cores or seeds, but the stems can be discarded. Press everything through the machine. If the pulp is still pretty wet, you can run it through a second time. Most fruits and vegetables can be made into juice including: celery, pear, kale, strawberries, kiwi, blueberries, parsley, radish, tomato, cucumber, peppers. Citrus fruits, like oranges and grapefruit, work best in a citrus juicer.